Welcome, and thanks for visiting my website! Do you like my picture book author hat? 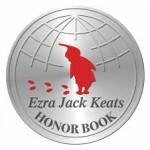 I was thrilled to receive a 2016 Ezra Jack Keats New Writer Honor for my first picture book, A Crow of His Own! You can read my blog post for Charlesbridge Publishing about my trip to USM to receive the award, and I hope you’ll visit illustrator David Hyde Costello’s website. A sequel, A Kid of Their Own, will publish in 2020 with illustrations by Jessica Lanan. 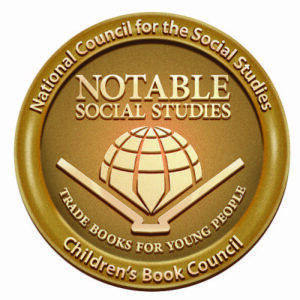 My second picture book, Real Sisters Pretend, illustrated by Nicole Tadgell, was inspired by a loving conversation about adoption between two of my daughters after a stranger questioned whether they were “real sisters.” It was named a Notable Social Studies Trade Books for Young People 2017, and a Must Read title in the Picture Book/Early Reader category of the 17th Annual Massachusetts Book Awards. It was also included on the Center for the Study of Multicultural Children’s Literature Best Books of 2016 list, and the CCBC Choices 2017 list. Or do you like my storytime hat? 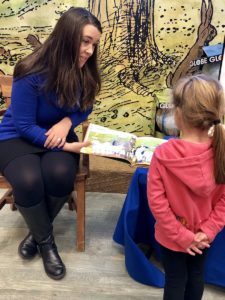 Or maybe you’ve heard about the Whole Book Approach, a storytime model I created in association with The Eric Carle Museum of Picture Book Art, and which I write about in my book Reading Picture Books with Children: How to Shake Up Storytime and Get Kids Talking about What They See. 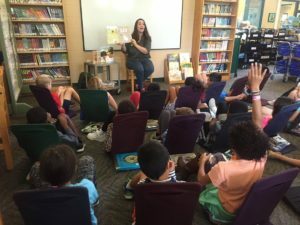 My central goal in this work is to bring children’s ideas and questions to the center of shared reading while celebrating the picture book as a visual art form. Or do you like my other writing hat? Or maybe you’ve stopped by because of my writing about how my family life and my work as Senior Lecturer in Children’s Literature at Simmons University intersect in my contributions to the Horn Book Magazine. I also regularly contribute to Embrace Race: A Community about Race and Kids and other sites and publications like Kirkus and Reading While White as a freelance writer and reviewer. Whatever brings you here, I invite you to follow me on Twitter, sign up for my newsletter, or follow my blog, “Book Happenings” which I named after a quotation from scholar, Louise Rosenblatt, who wrote, “Books do not simply happen to people. People also happen to books.” Thanks again for stopping by, and I’d love to hear about your book happenings and all the bookish hats you wear, too.